Hello and welcome to 2019! At MangoApps, we’ve spent the past few weeks reflecting on everything we were able to accomplish last year. Our team worked really hard in 2018 to innovate, adapt, and make MangoApps the best collaboration and communication program available. We made great strides last year and loved all of the feedback we received from our customers. 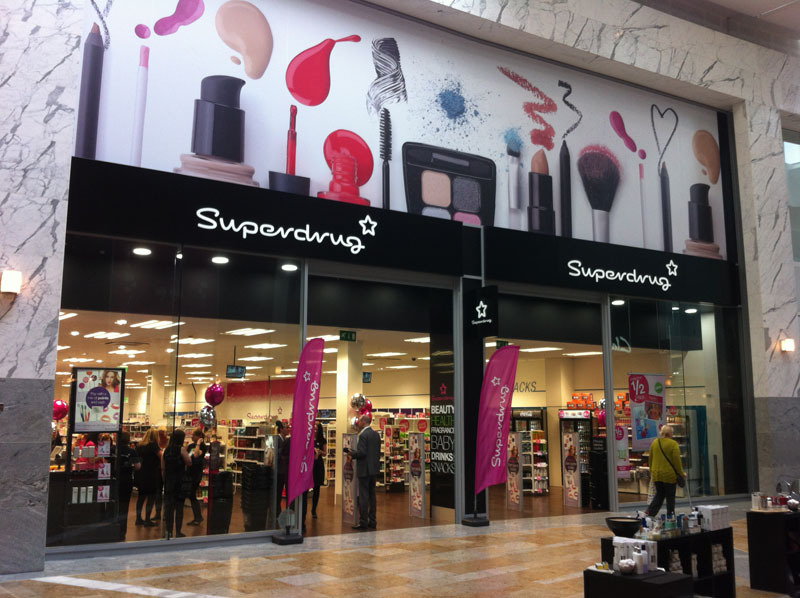 Thanks to their input were able to create all kinds of outstanding new features and upgrades. In the spirit of the new year, we wanted to look back over our best accomplishments of 2018, but it ended up being too long for just one post! We’re excited to dedicate two posts to the progress of last year. 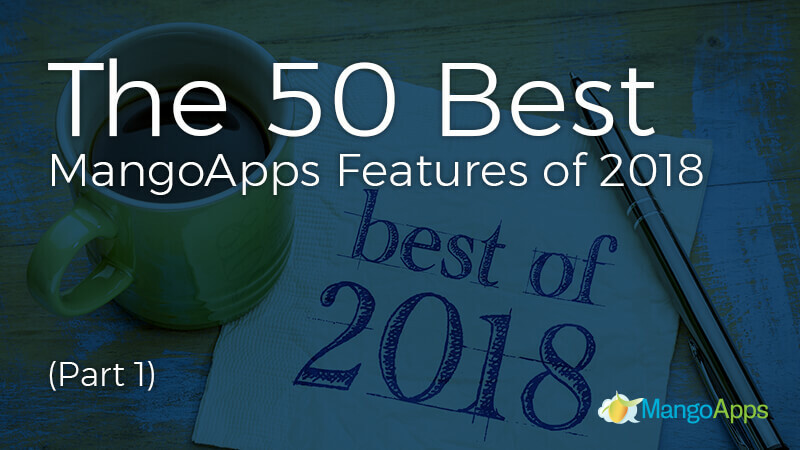 Here is part one of the top 50 MangoApps features from 2018. MangoApps’ new greetings and celebrations module makes it easy to celebrate and recognize birthdays, life events, company milestones and more. The module includes more than 60 out-of-the-box greetings and allows admins to create new and customizable templates as well. Our easy to use voting module helps teams, communities, and organizations vote on policies, elect representatives, and make important decisions. Ballots come with a wide range of important advanced features like ballot style, voter reminders, results displays, and commenting options. Zapier and MangoApps integration save users hours of extra work. Zapier seamlessly transfers MangoApps information to and from programs you use every day, keeping content fluid and collaboration easy. Admins can build custom zaps or use our 12 pre-built templates. Admins can now create a customizable “getting started” experience for new MangoApps users, allowing them to experience introductory videos, terms and conditions, privacy policies, and other important content in a style and order specifically designed for their company’s needs. Admins can now turn any company-wide post into a site-wide banner, visible to all MangoApps users for up to 24 hours. These banners allow admins to share news, announcements, or celebrations with everyone and ensures that important content will never get lost or overlooked. Users can now easily identify unseen posts by a small ‘new’ in the upper right corner and can mark posts as unread, set reminders for posts, or hide posts from their feed. We’ve also updated our search features, allowing users to sort through content with even greater detail. Accessing content is now even easier. Our new quick access list automatically provides links to the areas of MangoApps you use the most. The list will automatically update based on your needs or you can designate specific links to keep at the top. Admins can now group similar thoughts and ideas by organizing hashtags into categories. A single hashtag can belong to multiple categories and hashtags can be browsed individually or by their various categories. The Mangoapps mobile app now allows users to cc additional projects, groups, and department to their posts, letting them share the same post with multiple teams. This helps every stay informed and ensures that important information is shared and discussed with everyone involved. Office locations create an individual space for each company area. Ever office location includes important information like office address, current employees, local time, local holidays, and more, making it easy for employees across the company to connect and communicate together. MangoApps private message now incorporates all of e-mail’s helpful tools and a little more! The new private message features include subject lines, auto-save features, draft, and mute abilities and more. Users can also reorder their inbox and search for recipients with ease. MangoApps calendar upgrade lets you share scheduled meetings, set up company, and team events, and create personalized appointments, all with customizable levels of reminders and visibility. Creators can also include guest users or cancel a single instance of a reoccurring event. Admins can now simplify the HR process by activating outgoing webhooks. Webhooks update HR and payroll systems whenever a new user is created in MangoApps, a user profile is updated, or a user is activated or de-activated, keeping important information consistent and up-to-date. The new people module search bar includes even more advanced search abilities, allowing you to filter your results by location, department, team, or other customizable criteria. You can also search profiles using multiple criteria and save advanced search filters for later use. Widgets and quick links are now even more customizable. Widgets can be moved and reordered based on personal preference and users can now add up to 10 conditions to their quick links, keeping the links hidden unless the designated parameters have been met. You can now easily upload files to a specific MangoApps folder just by sending an email. Each folder has its own unique email address that can be found in the “upload email address” dialog. Just copy the address, attach the files you want to upload and hit send. MangoApps now supports the browser back (or forward) button as part of your navigation. Make your way through MangoApps hassle free and retrace your steps at any time with ease. Admins can choose to integrate MangoApps with NetSuite using MangoApps NetSuite Connector. This integration allows users, companies, groups and group membership information in NetSuite to be seamlessly synced into MangoApps, transferring information at any time. Domain admin can set up specific users as executive assistants, allowing them to update, share, schedule, or post content on the executive’s behalf. One user can be the assistant for multiple executives and one executive can also have multiple assistants. MangoApps has added support for a single logout feature as well, enabling users to safely and securely sign on and sign off of multiple programs all from within a single platform. Communication on MangoApps has become even more entertaining. Users can now browse, search for and share GIFs in posts, comments, private messages, private chat, group chat, and IM. GIFs automatically play when they are shared. Organization charts can now be expanded to include up to 500 individuals in a single view and allow users to pan and navigate through any number of people. Org charts at first glance show a users’ photo, name, job title, and link to their in-depth personal profile. The new hashtag widget can be added to a company page, team page, or a personal dashboard. This widget displays lists of news feed posts that contain one or multiple predetermined hashtags. The hashtag widget can be configured to match all or any of the provided hashtags. IM’s can now require a read-receipt, be marked as important, or be set to self-destruct. Marking an IM as important keeps it pinned to the top the of a user’s notifications. The self-destruct setting automatically deletes the message two minutes after it has been read. Team admins have the ability to access their team’s unique news feed code and embed them into an external service or intranet structure. When team code is embedded into another service authorized users can view, react to, and comment on the content from the external site. As awesome as all of these accomplishments have been, this is only half of what we have to share. In our next upcoming post, we’ll cover another 25 features MangoApps introduced in 2018. To learn more about MangoApps and how we help companies improve communication, boost productivity, and advance their own unique needs, schedule a personalized demo with us today.